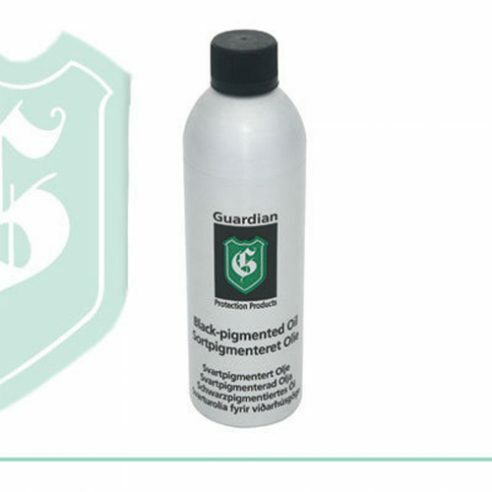 Guardian Black-Pigmented Oil is for oiling untreated wood where a black pigment is desired, or for caring for already black pigmented oiled wood. The oil contains no solvents, is based on the finest and cleanest oils, is water resistant and protects the wood from desiccation. Guardian Black-Pigmented Oil has been tested by the Danish Technological Institute and have been awarded “The Indoor Climate Label”.